To improve the safety and efficiency of its national linehaul fleet, LINX Cargo Care Group turned to Vawdrey Australia for a bulk Performance-Based Standards-approved B-double order. Bill Law, LINX Cargo Care Group National Asset and Compliance Manager, believes that the trailing equipment that a business uses should add value to its operations. By deploying custom spec’d semi-trailers that ensure low maintenance, optimal vehicle operator safety and significant payload and performance gains, everybody wins. 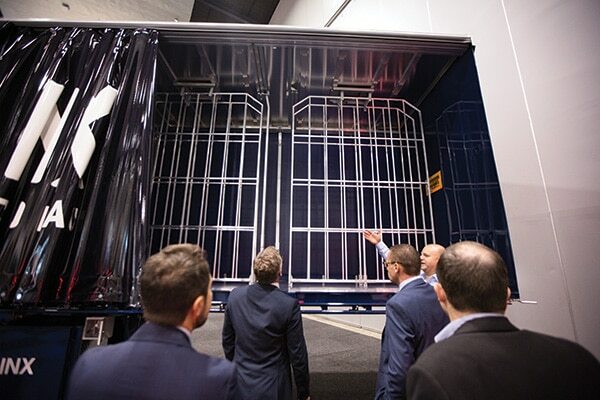 In line with his vision for a safer and more efficient road transport fleet, the diversified logistics infrastructure and solutions provider has received its biggest order to date from trailer manufacturer, Vawdrey Australia – 31 Performance-Based Standards (PBS) approved B-double tautliner combinations. While Bill says that the company’s key mandate is to embrace “top of the range” safety options for its specialised heavy vehicle equipment, it was Vawdrey that facilitated exceptional speed to market – making conceptual ideas a reality. LINX General Manager Logistics, Wayne Alpen, says the new B-doubles will be optimised for multifunctional applications to meet the diverse needs of LINX’s wide range of customers. “Carting a wide range of products in any industry is advantageous – being able to diversify freight tasks within the supply chain – making the most of a two-way trip by managing different loads between points A and B – is critical for achieving performance gains,” Wayne says. “For instance, the wine industry is heavily reliant on the supply of empty glass bottles from the glass production plant to the winery. LINX offers a strategic advantage where it can now use the same trailers to not only carry more, but also facilitate transport of their finished product for domestic and international transport. “This provides increased flexibility for LINX to transport various other loads such as paper reels and standardised palletised freights while maintaining safety standards and compliance,” he says. 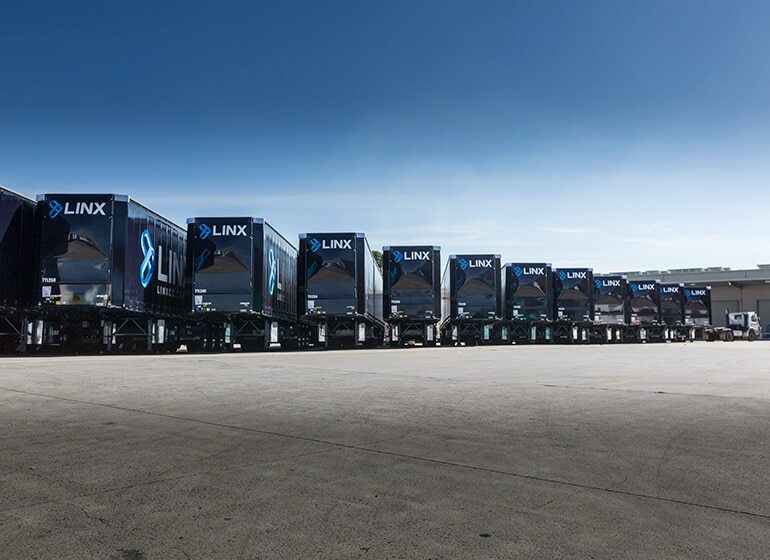 LINX expects the new trailers to be deployed nationwide for various interstate linehaul freight tasks, running up to 250,000km a year. To manage its maintenance requirements with the new B-doubles, the logistics company has a central workshop in Griffith, New South Wales, as well as another facility in Newcastle, New South Wales, each staffed with skilled heavy vehicle mechanics. “While LINX has its in-house maintenance team, we are excited about up-skilling opportunities with Vawdrey and Hendrickson,” Bill says. Fast Fact: To complement LINX Cargo Care Group’s order of 31 Performance-Based Standards (PBS) approved B-double combinations, trailer builder, Vawdrey Australia, delivered a set of roadtrain skels. Fast Fact: Vawdrey Australia’s Performance-Based Standards (PBS) journey began in 2012, when it first introduced a Super B-double capable of hauling two 40-foot containers, while operating under strict guidelines set out by VicRoads. At the time, the unit was only permitted to be used around Melbourne’s wharf district. However, it wasn’t until a year later that Vawdrey rolled out several more Super B-double combinations, marking a major milestone in increased access for High Productivity Freight Vehicles (HPFV) under the new Victorian Freight & Logistics Plan introduced by the Victorian Coalition Government in August 2013.